If you walk from Yanaka to Ueno, you are bound to pass by a very cute store with large round window selling Japanese sweets. It is located in an old-looking traditional house. 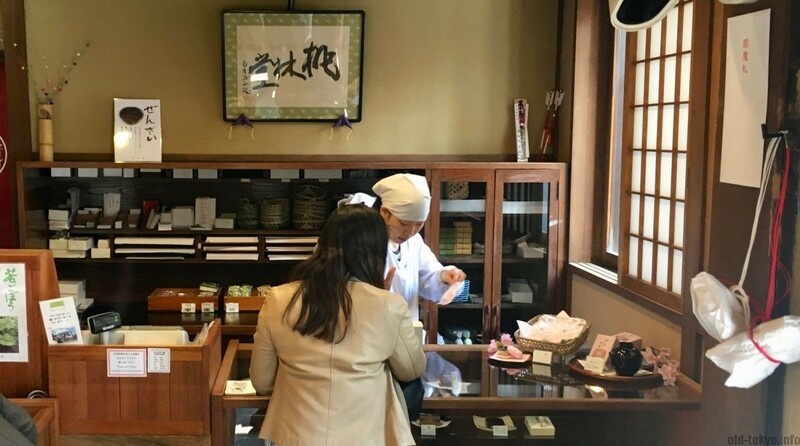 This store is called Tōrindo, after a Chinese fable called The Peach Blossom Spring. Tourindo is a small chain with about 10 stores, established in Osaka in 1925. The stores are mainly in the Osaka area. The Ueno store is by far the most beautiful and pleasant one. 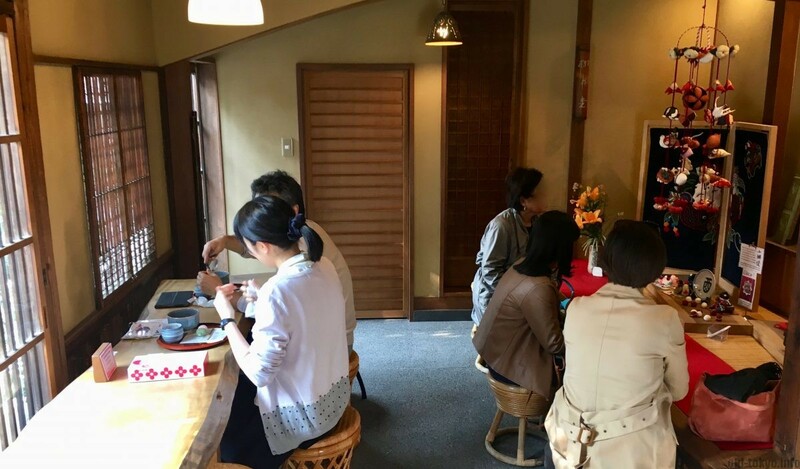 Only 2 stores function as a cafe as well: the main store in Osaka and the one in Ueno that I am introducing in this article. The counter where they are selling the various sweets. Youkan: Youkan is a solid block of thick jelly made of red bean paste, agar and sugar. Special are the Namamizu Youkan (made with more water than usual) and Honneri Youkan (artisanal). Gochica: sugary conserved fruit and vegetables (fruit confit). Monaka Osaka: long-shaped cookie with large-grained red beans inside. Tanba Dainagon Kanten Gurume: some sort of jelly with azuki beans inside. Best eaten cold during summer. They have a wide variety of sweets, but not all of them are available at every store. Set of one small taiyaki (called kotaiyaki) with matcha tea and another tea. If you go, as me, to have a cup of tea with some sweets, they have several sets available of tea with some sweets. I opted for the one with a small taiyaki (also a set with dango is available). The taiyaki was soft, unlike the sometimes rough outer crust of the famous taiyaki stores in Tokyo. The taste of the azuki bean filling was sweet and fit very well with the matcha tea. If you are new to taiyaki, this is probably not the best representative of this type of sweet. 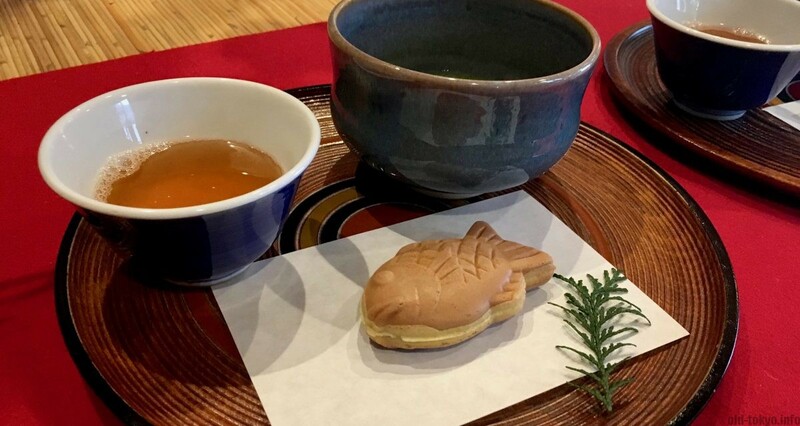 Check out the nearby taiyaki in Nezu for a different experience. The store itself is small with only a limited number is seats. The wooden interior with many handicrafts on display make it all rather cute. The arrangement is unconventional with one narrow wooden table at the window side and opposite a kind of low stage that is being used as a table. This stage is really low and not that convenient to use. 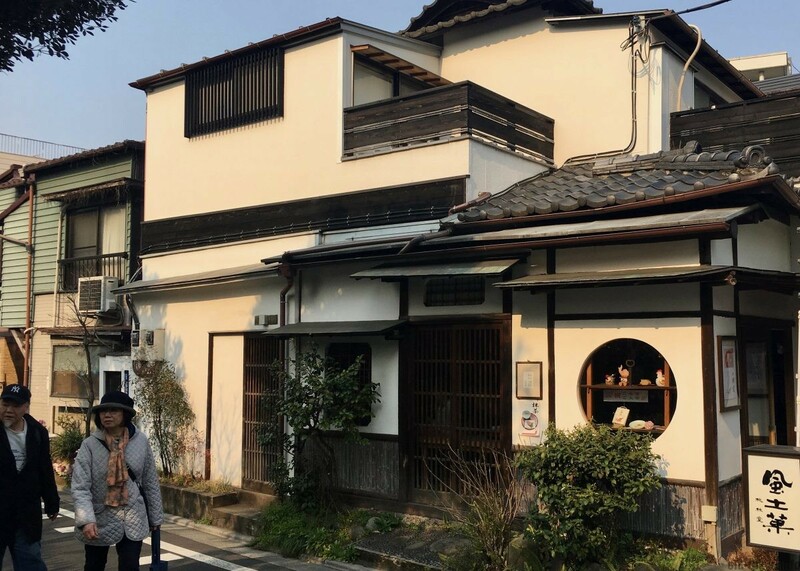 However, on a weekends and in the afternoon usually no seats are available as there is a steady stream of people moving from Yanaka to Ueno that move along this pretty little place. Many people just stop by to by the sweets and move on. The outside of the store, a quite beautiful house, located on a corner. Opening hours: 9:00-17:00. Closed on Mondays (except if Monday is a national holiday, then it is open). Also closed during new year’s holidays: 1-3 January.